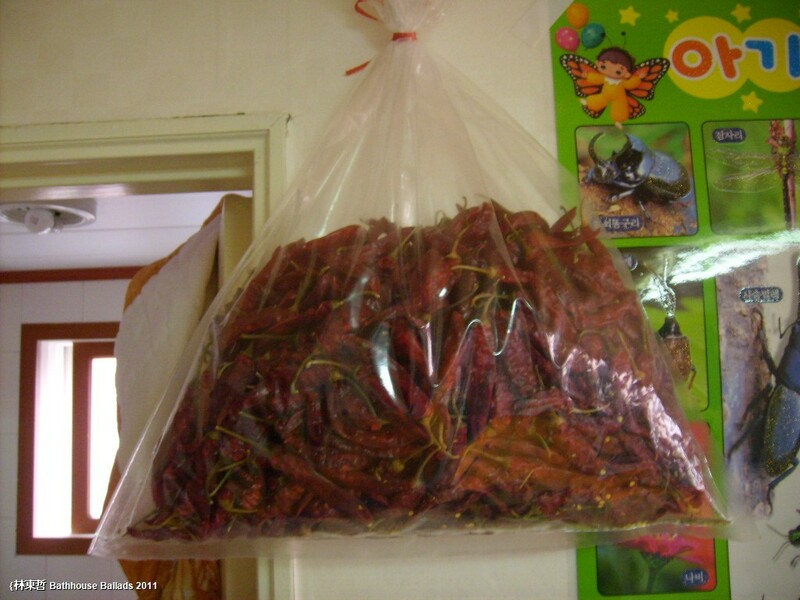 Every autumn I intend buying a large bag of dried chillies and eventually, this year, I did. With a sweet aroma, rather like cherry tomatoes, they smell wonderful but ground, the powder is far hotter than that I usually buy in the supermarket. I suspect this is because I procrastinated buying a bag, as they are usually sold in large plastic sacks, and waited until the very end of the season. 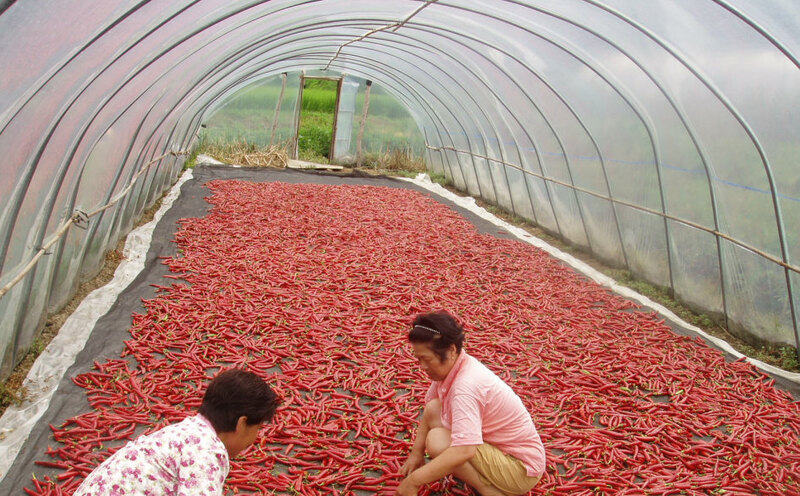 The bag I bought was about a quarter of the usual size and the chillies slightly smaller and perhaps more potent. They cost 20.000 won (c£10). Of course, the drawback is you need to grind them and I suspect you are supposed to de-stalk them prior to this process. Being lazy, I haven’t bothered with this and simply grind whole chillies complete with their little green appendage. 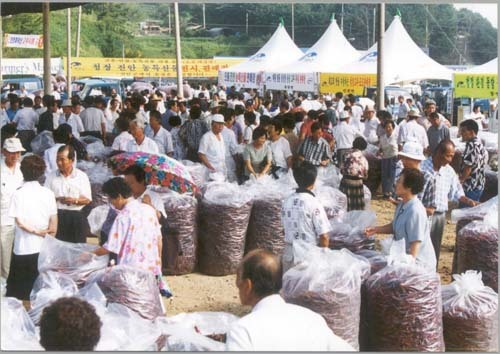 Koreans eat chilli leaves so I see no point in removing stalks. I have had to seriously curtail the amount of powder I use in kimchi and my most recent batch, made this weekend and which consisted of about 1.2kg of salted cabbage, used only 1/3 of a cup of ground chili. In the past I have used as much as two cups of powder for this process. My Koreans friends found 2/3 of a cup too spicy. I was going to buy another bag, a large one, to last me the year but it seems the dried chili season is over. Buy the time I’ve used my current supply I’d imagine the novelty of dried whole chillies, something you never see in the UK, will be over and like most of my female friends, I’ll return to the convenience of packeted supermarket chili flakes. © 林東哲 2011 Creative Commons Licence.